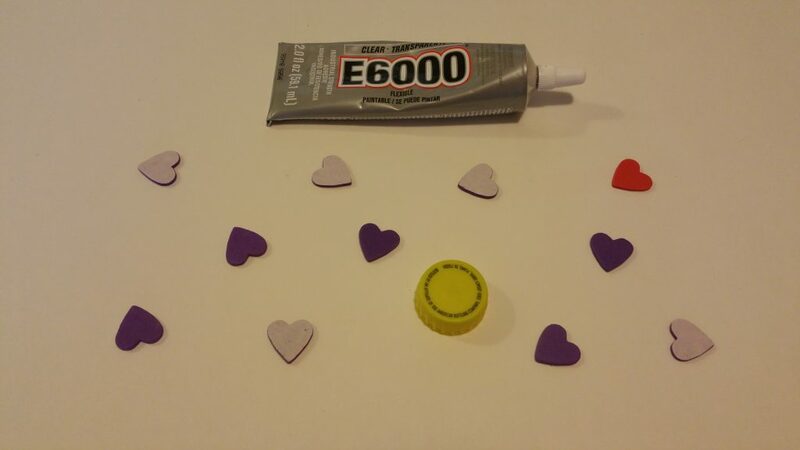 Valentine’s Day is such a great excuse for crafting! In our last post, we made fun DIY gifts for our Galentine’s friends. Today’s post, however, is all about making your own holiday gear! I used a favorite paint stamping technique to give a plain T-shirt some “heart”! You can use this same method to create looks for different holidays and seasons! (Check out some of our favorite projects here, here, and here!) 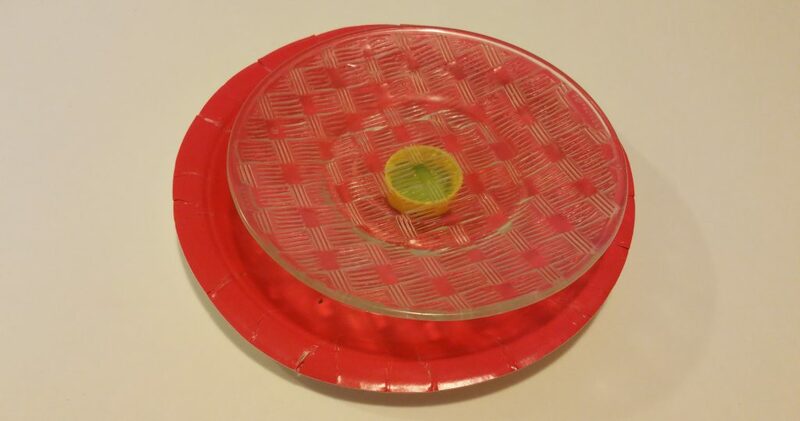 Don’t worry- this craft is GREAT for gifts, but start by making one for YOU! I used two matching hearts for this stamp. 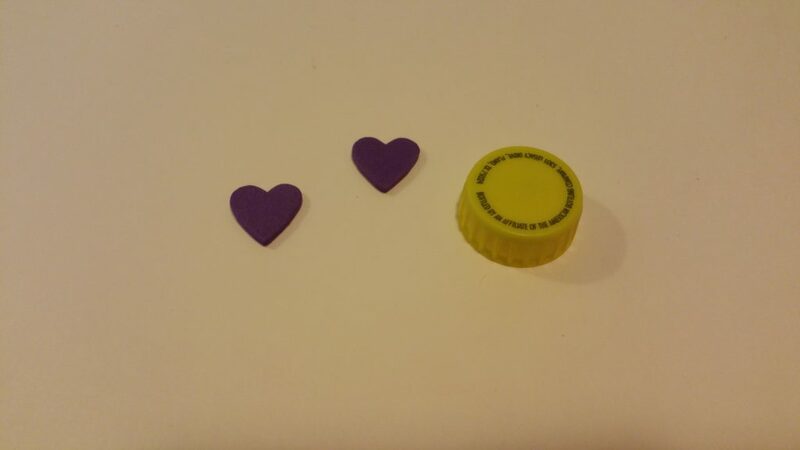 I glued the first heart to the cap, then glued the second heart right on top of the first heart. I did this in order to add a little bit of thickness to the heart. Later on, this will make it easier to apply paint to the heart without getting paint on the cap. 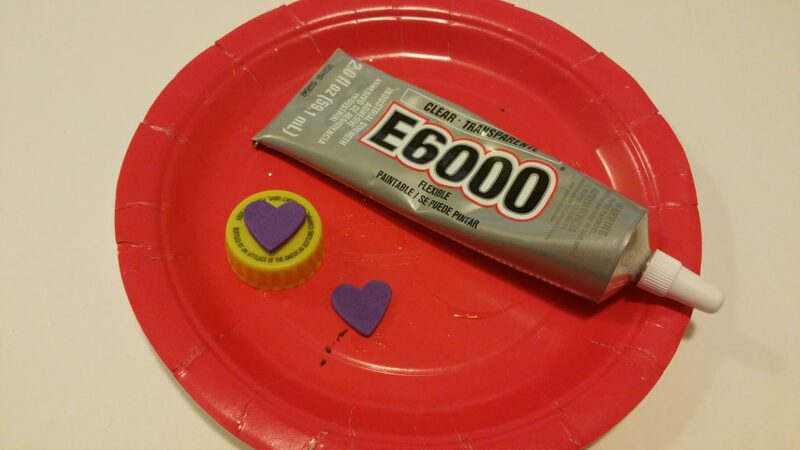 The edges of the hearts wanted to curl up, so I placed a plate on top of the stamp while the glue dried. Once you’ve made your stamp, check out this post for step-by-step instructions for preparing and stamping your shirt! If you want to make your own stamp in another shape, check out this stamp making tutorial! I chose rainbow colors for my T-shirt since I love the color combination and because I wanted to make the shirt multi-seasonal! Ta-DA! Those rainbow hearts helped brighten a super rainy day! 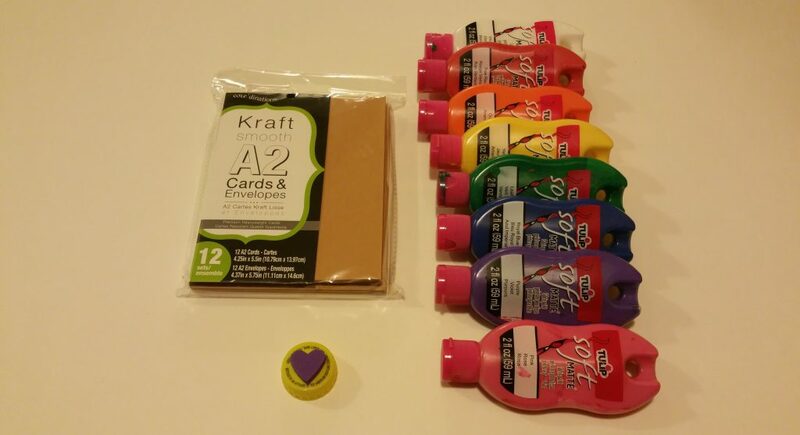 Before cleaning up my supplies, I used leftover paint to stamp hearts onto plain cards! I *love* the rainbow colors against the brown cards! Will definitely save some of these for Valentine’s Day! 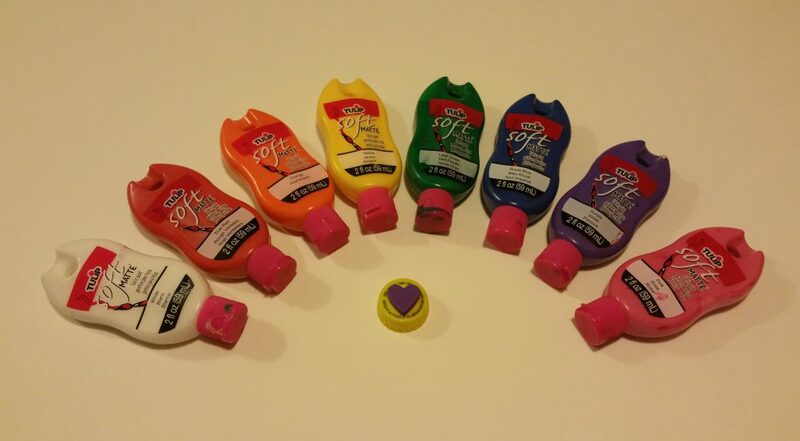 Ok, Partners in Craft, get out there and brighten the day with some paint and Valentine’s stamps! Go ahead and put your “heart” into it! 😉 Here are some supplies to get you started!